There's nothing better than getting the low-down from a traveler who is truly passionate about the place. Writer and editor Felisa Rogers has a family lineage sprung from a Mexican guide book. Literally. She dropped in on San Miguel de Allende, and called out a few old highlights and new favorites. SAN MIGUEL DE ALLENDE, Mexico – I first traveled to San Miguel de Allende, Guanajuato, when I was two months old. My parents were travel writers who liked to hole up in San Miguel to work on their books. My dad, Steve Rogers, was a driving force behind the cult classic The People's Guide to Mexico. Originally published in 1972, the book is still in print: the 14th edition came out in 2012. Like my dad before me, I'm a researcher, editor, and contributing writer for the guide and its companion website. On my most recent trip to Mexico, a 6,500 mile odyssey in an '87 Dodge van, my husband Rich and I stopped for a few weeks in San Miguel, where I revisited old haunts and discovered a handful of new favorites. Now a popular getaway for the Mexico City jet set, San Miguel has long been a haven for artists, movie stars, and eccentric travelers of all stripes. Ginsberg and Kerouac drank it its dive bars; Neal Cassady died drunk on the railroad tracks outside of town. Although San Miguel's famous artist colony has been infiltrated by Texas oil billionaires and other well-heeled retirees, some of the old bohemian standbys can still be found behind the town's scarred wooden doors. Founded in 1542, the town has been preserved by a longstanding building code that keeps the downtown facades strictly Colonial. San Miguel streets are twisting corridors of saturated ochre and mustard and blue, punctuated with crumbling fountains and flashes of fuchsia bougainvillea. The occasional burro train can still be seen carrying firewood along the treacherous cobblestones. In the center of town, a towering pink neo-gothic cathedral dominates the scene, inspiring awe along with thousands of mediocre paintings. The San Miguel dining scene can feel overly chi-chi. In my experience, high-end Mexican food is almost never as good as what you'd find in the market, but Hecho en Mexico is just fine and has an authentic ambiance that includes a wall fountain and a rooftop view of the cathedral. Fancy restaurants of note include Moxie, by Enrique Olvera of Pujol, and De Temporada, a rustic yet gourmet restaurant located on an organic farm outside of town. If you know where to look, you can find cheap, authentic food. Stop at Torta Mundo (Calle Umaran 29) for lunch. Lodged in a narrow building that's decorated in an aggressively Catholic style, the diner is a mom-and-pop joint where a torta de milanesa (a crispy breaded beef cutlet lodged in a pillowy French-style roll) costs about 2 USD. For more traditional fare, San Miguel's markets are a good bet. 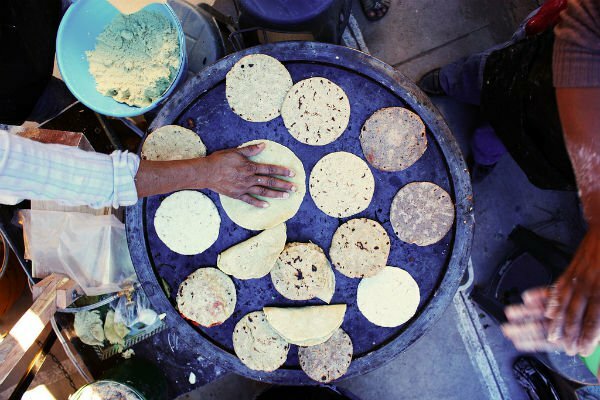 Check out the fondas (stalls) at Mercado Ignacio Ramirez or head up to the tianguis (flea market) on Tuesday for carnitas and sizzling gorditas. Fine dining in San Miguel tends toward the international. There's a small Italian restuarant called Mare Nostrum (Umaron 56), where you can find a friendly staff, homemade pasta and reasonably priced wine. Another favorite is Casa Payo (Zacateros 26), where patio dining offers starry skies and hulking Argentinean-style platters of steak and sausage. If all this sounds too international, never fear — roving bands of mariachis will remind you that you're still in Mexico. Hike: Take a cab to the botanical garden El Charco del Ingenio, a high desert nature preserve. The gardens feature a giant conservatory of native Mexican plants, cactus gardens, hiking trails, and a view of the wild El Charco de Ingenio canyon. 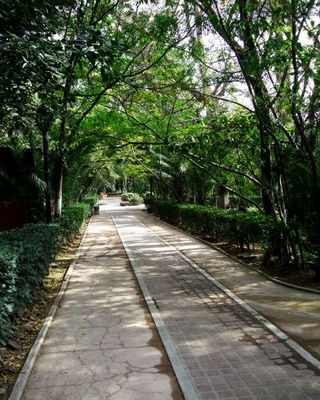 Relax: Stroll the shady walkways of Parque Juarez, otherwise known as the French park. Located on the south end of town, the stately park is arranged around fountain courtyards and a wooded arroyo. Wander: Head south from the Zocalo (town plaza) to the Mercado, a dark, echoing chamber redolent with calla lilies, roses, and fresh fruit. Fifteen pesos (about 1 USD) will get you a cantaloupe-sized goblet of fresh orange juice, and the fondas (booths) are good for lunch. Shop: You can't skip a stone in San Miguel without hitting a high-end gallery or boutique. For budget shopping, head north of the Zocalo to the Mercado de Artesanias (folk art market), where you'll find hammered tin ware, traditional pottery, leather, jewelry, and the usual selection of tourist knickknacks, all at about half the boutique rate. Polite bargaining is the norm. An unusual little hipster shop at the west end of the market sells cute handmade journals and curios. If you happen to be in San Miguel on Tuesday and you like shopping or clamorous spectacles, definitely check out the Tuesday market, a gigantic tianguis held on the outskirts of town. Here you'll find everything under the sun: glittering stacks of used electronics, pyramids of fresh vegetables, witchy herbal remedies, mountains of used clothing, Virgin of Guadalupe seat covers, bedazzled jeans, smoking food carts, and stray antiques. Soak: The surrounding hillsides bubble with thermal springs. Take a day trip to La Gruta Spa and swim through warm, rocky pools. 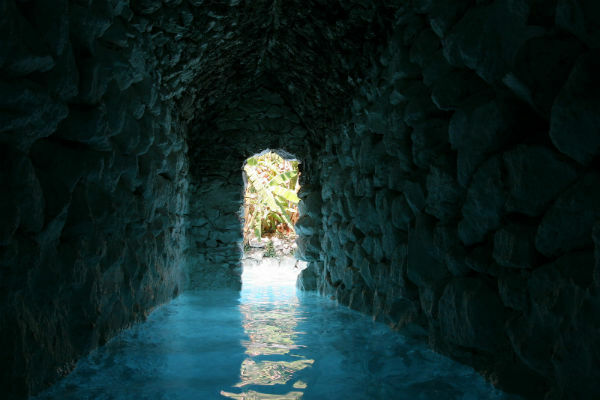 Escondido Place has a swimmable tunnels and a vaulted chamber that's great for a long, relaxing soak. Watch: Get the lay of the land at El Mirador, a lookout point on the hill above town. At sunset, the town sprawls below in a romantic haze, the spires of the cathedrals lit a slanted, fleeting gold. A tienda across the street sells micheladas in to-go cups — just what you need for the downhill stroll back to town. 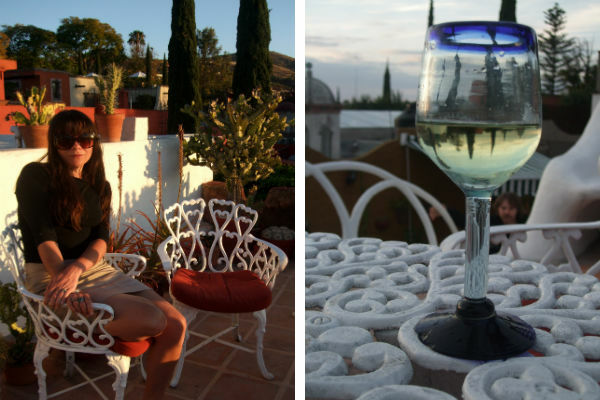 The sunset in San Miguel is traditionally viewed from a rooftop and over the rim of a cocktail glass. Wind down your day at Mama Mia's rooftop bar. The drinks are overpriced, but the view is worth it. At this point, you may want to retire to your room for a little while — San Miguel is a late-night town, and the bars tend to be dead until 11 p.m. You can squander a pleasant hour people watching at Zocalo: In the dramatic light of the pink cathedral, vendors stroll, teenagers flirt, mariachis warble, and old gringos grouse. If you're lucky, you'll catch local kids break-dancing by the bandstand. When you're ready for another drink, head east to El Tinieblo (Correo 17). 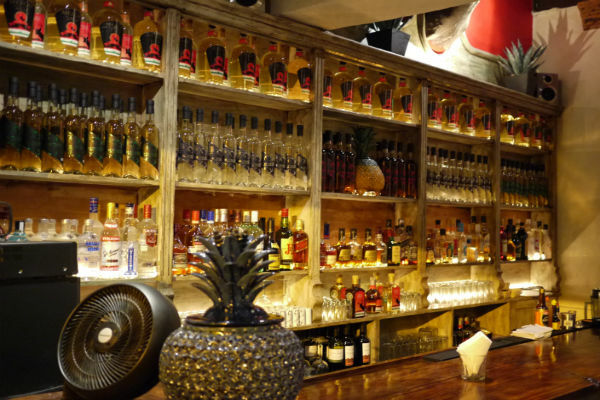 Just off the Zocalo, the sleek mezcal bar has friendly bartenders, a cool ambience, and proper house-made mezcal. If you want to drink like a Mexican, order a trago of tequila, mezcal, or brandy. If that's too stiff for your tastes, request a michelada or a paloma, otherwise known as tequila and squirt, which is better than it sounds. As the evening matures, head south to Manolo's, the bar connected to Casa Payo (Zacateros 26). The walls are painted with classic Mexican dichos (sayings) and hung with the requisite black-and-white photos of Pedro Infante and other stars from Mexican cinema's golden age. If you luck out, you'll find Keiko behind the bar, playing DJ and doling out shots of tequila to a motley band of admirers. A great place to get down to business. If you are a serious imbiber, you’ll want to make a late-night pilgrimage to La Cucaracha (Zacateros 22). The legendary establishment has all the markings of a good dive: grungy walls covered with paintings of naked women, a dreadful bathroom, cheap drinks, bartenders that project an aura of dignified patience, and the distinct feeling that anything can happen here, and probably already has. 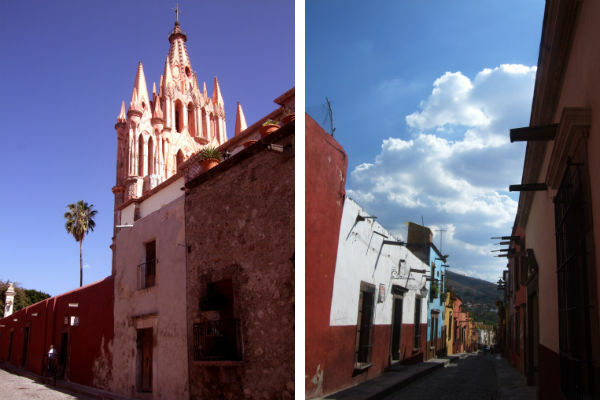 San Miguel de Allende is 166 miles northeast of Mexico City, or a 3-4 hour bus ride. You can catch a bus to San Miguel directly from the airport in Mexico City, or you can catch an "extra first class" bus from the Terminal del Norte station.